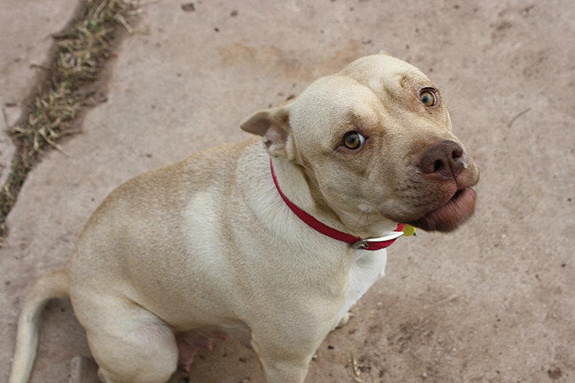 Sandy was picked up off the streets in Arlington, Texas and was very pregnant. The shelter there was going to abort the pregnancy and she probably would have been put down so a volunteer out there contacted us. 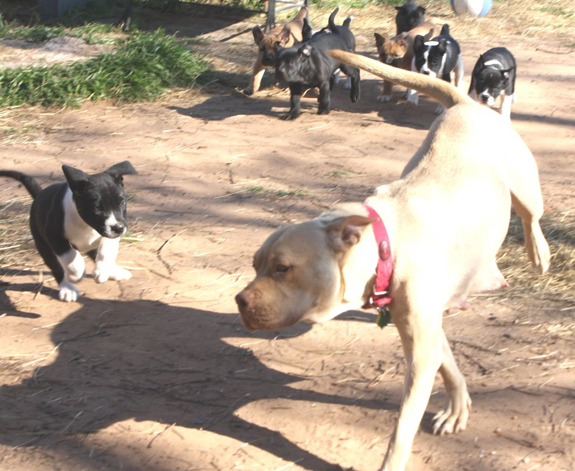 Cherry HEART Rescue is a small home-based rescue in Wichita Falls, which is about two hours north of Arlington. 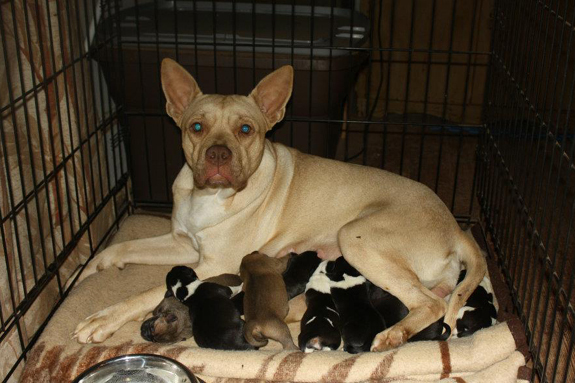 We agreed to take Sandy and her puppies so the volunteer went to the shelter to pick her up. Well, Sandy had other ideas. She was in the middle of giving birth. So, the very next day Sandy and her EIGHT puppies came to stay with us. 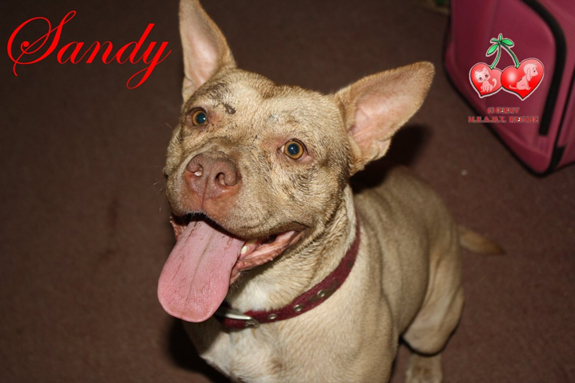 It is now 10 months later and Sandy is spayed, up to date on all her shots, microchipped and such a happy girl. 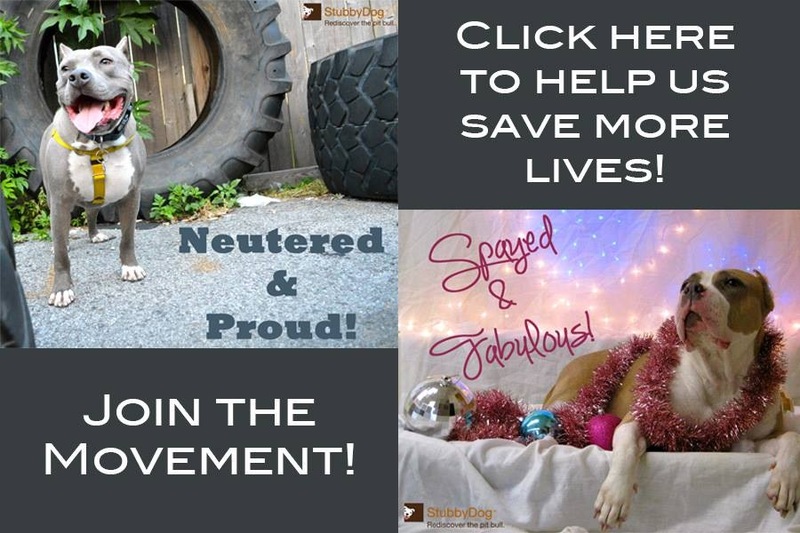 Of her eight puppies, one passed away from Parvo (we fought hard alongside a vet and the other three that contracted it made it through but it was too much for the one little guy), one is left still looking for his forever home, and the rest are all in great homes with families that love them very much. Fabian, the biggest of all of them, looks more like a Great Dane and is in training to be a service dog. 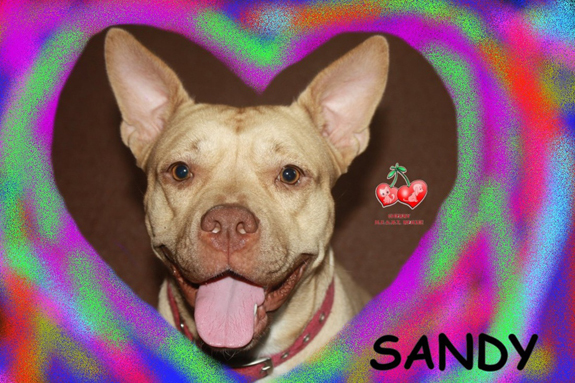 Unfortunately, Sandy is still looking or a home too. She is one of the friendliest and happiest dogs we have ever met. She loves everyone and everything, but she is fairly hyper so she would need a home with people experienced enough to slow her down as needed. She’s a beautiful little “gremlin” girl and we just want to see her safe, loved, and in a forever home. We do have to make sure it is acknowledged that she IS dog and cat friendly, and absolutely loves all people, however she is very high energy and not every animal (or person) can deal with that. She would love a home where she can get walked on a daily basis and with people who understand how to handle a hyper but happy dog. 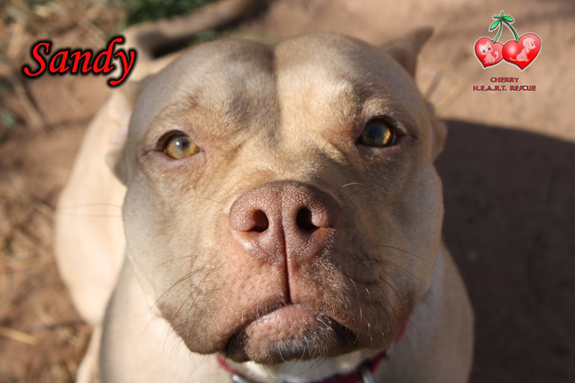 Cherry HEART Rescue is located in Wichita Falls, Texas You can see them on Facebook and also see Sandy on Facebook. she looks like a big frenchie! 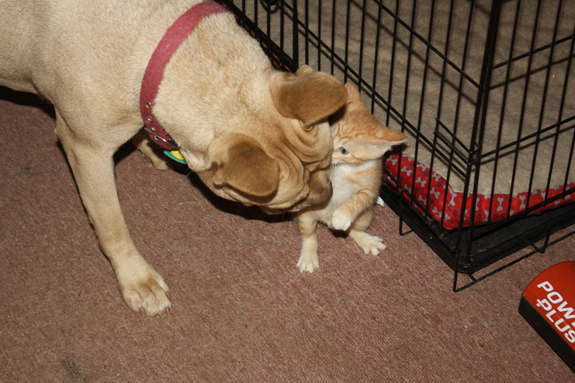 love the picture of her with the kitten. @laurieburton We know, so cute!